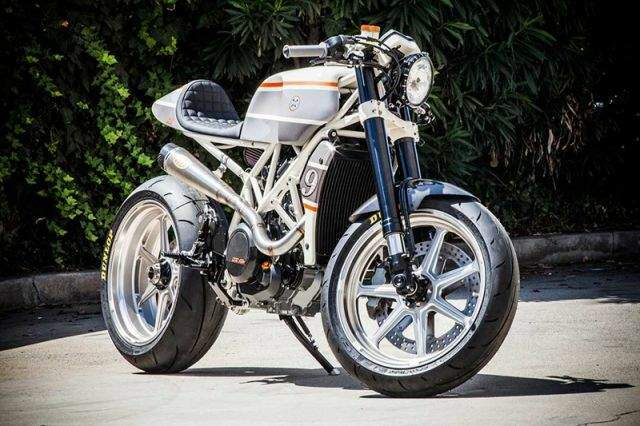 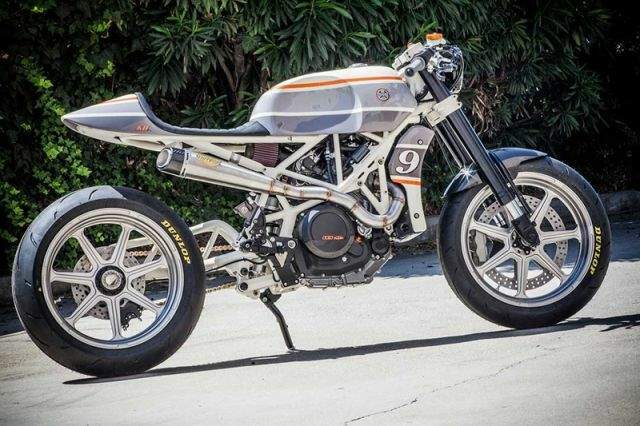 Roland Sands rebuilt a KTM 690 Enduro R, made it a sleek café racer. 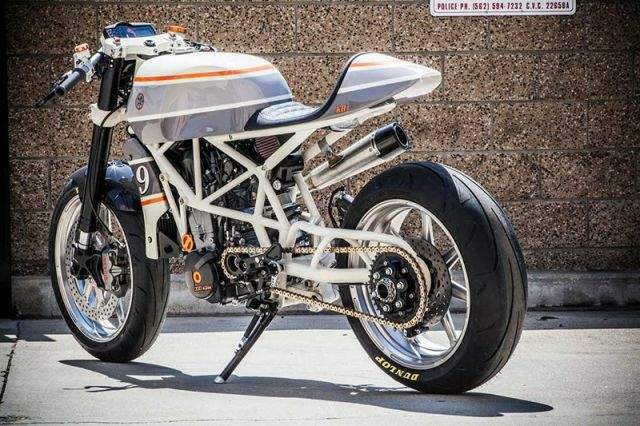 As a standard bike the weight of KTM 690 Enduro R 2013 is 138.5 kg, while the engine produces 66 hp and it is the ideal performance for the cafe racer. 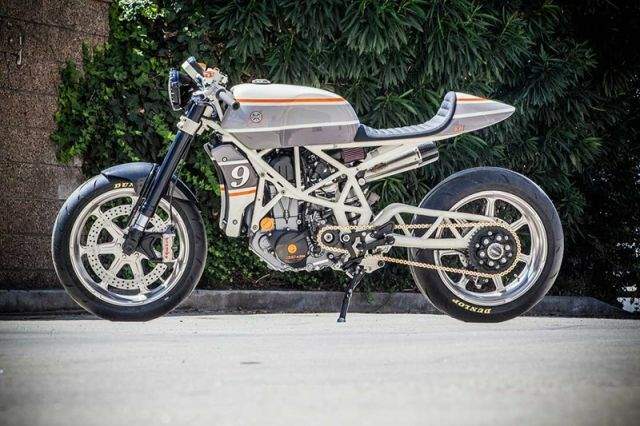 Roland had to work hard with the suspension and chassis to adapt it to the selected class, because the 910-mm Seat height can hardly be comfortable on a road bike.